Check certifications. Make sure the contractor you choose is properly certified to do the work by either the National Roofing Contractors Association, the National Association of the Remodeling Industry, or any other state or local organization. Also check on any manufacturer’s certifications as well as with the Better Business Bureau for any complaints and information on how long they have been in the business. Word of mouth. 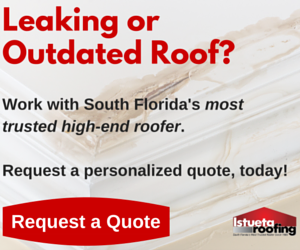 Do you have friends and neighbors who have recently installed a new roof? If so, ask them which roofing contractor they used and how their experience was. The Better Business Bureau is a great resource as are a number of websites to check a roofer’s reputation. Know and understand the work they are going to do. Understand the entire scope of the work being done, including materials and installation practices and what may require some special skills or materials. You want to be absolutely sure that the contractor you hire will avoid taking shortcuts on your investment. Get the most information you can upfront. Look at the ratings and quality of different roofing products and confirm what the contractor is going to use so you can make sure you’re investing in a top quality product for your home. Also, question the experience, training, and certifications of the installers. Contract, contract, contract. Get a detailed written contract and then build in some wiggle room to incorporate possible unanticipated costs by creating plausible “what-if” scenarios, including what changes could arise and how it will affect your project. It is also important to include a process for handling change orders and a detailed payment schedule. Permits. It is best if the contractor holds the permits because most town and city building inspectors consider the permit holder to be the party ultimately responsible for the work. If the contractor holds the permit, he is responsible for the work and the building inspector can act as an intermediary if needed. Get a lien release. This will protect you from a contractor who owes a supplier for supplies after you have already paid him. Essentially, if the contractor has your money – but hasn’t paid for the supplies – you will be liable for what remains unpaid. As a Miami homeowner, you must protect yourself from unscrupulous roofing contractors. Follow these few steps and you’re off to a great start!